We’re very close in releasing a more trimmed-down version of Resonate. Why? Resonate have been brewing for too long without any feedback from you guys, our users. This can lead us to the dangerous path of making apps that you won’t love. So instead of including every feature that should be in Resonate, instead this new app will have only one feature and the feedback gained from it will guide us on how we should make Resonate. The single sole feature is Twitter Word Clouds. That is, the app will summarize your twitter timeline into a jumble of words, allowing you to see which conversations that are trending and interesting and jump in on those fabulous talks. You can see a screenshot of the app to the right. 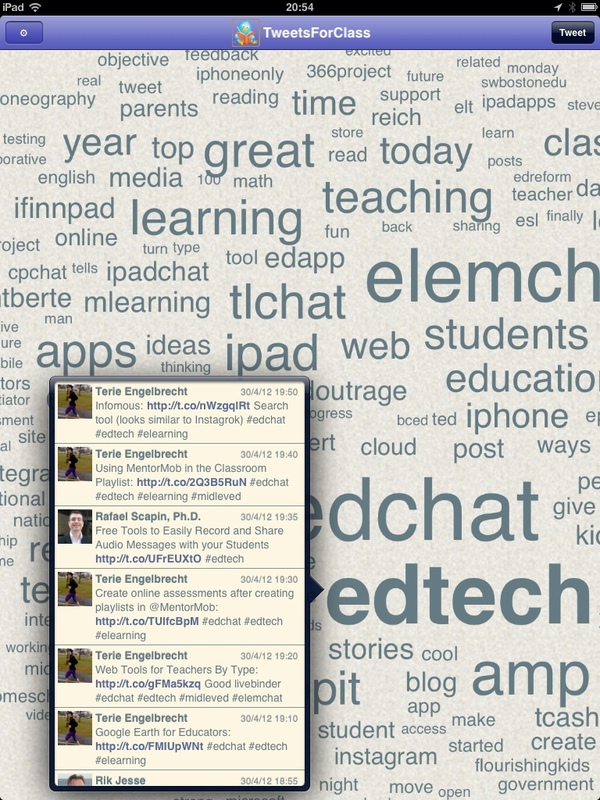 This one shows a snapshot word cloud of one of our twitter clients, TweetsForClass. It’s clear that “edtech” is a hot topic among the people that the account follows. Tapping on “edtech” shows all tweets in the timeline with that word. That’s all for now. Watch this space for more updates.